Hellboy II: The Golden Army released in 2008 and the way Guillermo del Toro schedule is stacking up, there is no telling how close to a third Hellboy we are, but there is always hope. 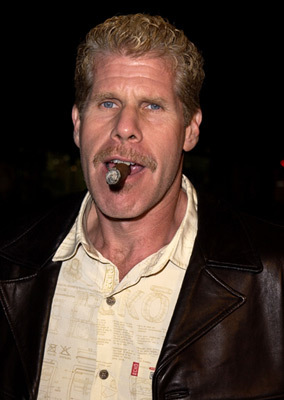 Especially considering both Ron Perlman and Guillermo del Toro believe it would be a disservice not to add another chapter. The way Perlman describes it however, this would be a final installment and wind up the story. "The only thing I can share with you is we have this demon who is a victim of this Oracle, which is not negotiable. He's been summoned to the Earth for the destruction of mankind, and that's non-negotiable. This whole notion that his nature, is the demon of destruction — against the way he's been nurtured by his father, John Hurt's character, to be kind and in the service of mankind. Those things are going to be in play in the third one. Then of course you have Liz pregnant with twins at the end of the second film. So you don't know what those two offspring are going to be? Are they going to be more human? Are they going to be more demon? Are they going to be a combination of the two? And how is that going to play out, in terms of Hellboy's destiny. Which I say again is non-negotiable. So that's the backdrop for the third film. And everything will be resolved, all these open-ended questions will finally be resolved. I don't know how, he didn't give me those details. But that's the backdrop for it." So lets break Mr. Perlman's comments down a bit. First off, he says that Hellboy's origin is going to come into play again. We've seen brief elements of his nature in both the previous films, but Perlman implies this would be a bigger aspect of the movie. So will Hellboy bring Armageddon to Earth or will his father's teachings outweigh his non-negotiable destiny? I'm game to see that storyline developed and concluded. Second Perlman brings up the pregnancy. Yes, that huge misstep. The pregnancy of Liz Sherman is the biggest disappointment of The Golden Army. It was the most unnecessary plot development in the entire franchise. Namely because in Mike Mignola's comics, which the films are based off, Liz and Hellboy never had a romantic relationship. Their relationship is instead more like big brother and little sister. I was willing to accept when del Toro took liberties with this angle of the story, but when he decided to throw in kids, he pretty much cornered himself. Now he has to see the pregnancy angle of the story through. Which makes me cringe inside. Lastly and most importantly, Perlman talks about everything being resolved. He says specifically "all these open-ended questions will finally be resolved." He certainly seems to be implying this third film would close the door on Hellboy. Does this mean the series would have to end? Not really, I'm sure Guillermo del Toro could transition Hellboy into a B.P.R.D. franchise. Films that would not just deal with Hellboy but all of the characters that fill the Bureau for Paranormal Research and Defense. Maybe we could finally get a Lobster Johnson story!! Mignola has himself transitioned from just Hellboy titles to including separate B.P.R.D. comics too, so there is no reason del Toro can't do the same. This shift would also allow del Toro to take on more of a producer role opening up the director's chair for someone else. How soon can we expect to see another Hellboy is really up in the air and up to both del Toro and Perlman's schedules. Guillermo del Toro already has two films ("Frankenstein" and "At the Mountains of Madness") on his plate leaving him booked through 2013. Leaving a potential "Hellboy III" not till 2014 or 2015. 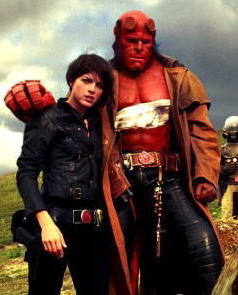 With The Golden Army releasing in 2008 we could have a 6 to 7 year gap in between Hellboy movies which could be franchise suicide in some people's eyes. Question is, how many people will still have a legitimate interest after so much time has passed?